Why, you may ask, was the first “Y” word that came to mind for me “Yikes”? While there is the occasional good “Yikes!”, such as the news that there may actually be a peace treaty officially ending the Korean War/Conflict, more often they are less positive or negative stories about court cases or crimes or investigations or legislative proposals. And, seriously, Paul Ryan fired the Jesuit priest who has served as Congressional chaplain since 2011? Yikes! Why? 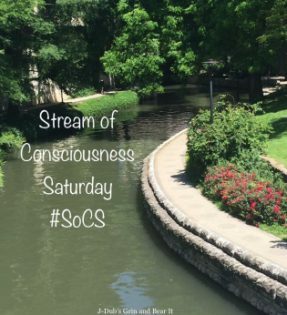 Author Joanne CoreyPosted on April 28, 2018 Categories blogging, current events, government, musings, Stream of Consciousness SaturdayTags Congress, Korea, news, SoCS, United States4 Comments on SoCS: Yikes! On today’s ninth anniversary, we are remembering all those who died or were injured in the shooting at the American Civic Association in Binghamton NY. Although we have made some progress at the state level, I am saddened that there has been so little at the federal level, both on gun and immigration reform. I so appreciate the Parkland students and their student and adult allies who are bringing gun violence issues to the forefront of the national conversation and motivating lawmakers to take steps to protect students and the public. In light of the president declaring DACA dead, I hope that Congress will finally return to bipartisan comprehensive immigration reform with a path to citizenship for Dreamers, those under TPS, and other long-time residents. If they pass such legislation with a veto-proof margin, we will confirm and honor our national identity as a diverse nation where everyone person’s human dignity is recognized and cherished.